Is the sole purpose of education to transmit knowledge? For some people, such an attitude is not merely stuffily traditionalist, it does today’s young a dangerous disservice: it evades the responsibility to prepare young people for the radical challenges of the twenty-first century. In a world where there are no longer jobs for life, teaching union chief Mary Bousted is just one prominent educationalist who argues that it is our duty to equip young people with the skills to succeed in an uncertain future. Andreas Schleicher, the OECD’s head of education, proposes that education should aim at providing students with a reliable compass and the skills to navigate a volatile and ambiguous world. The curriculum, it seems, needs a reboot as we face new challenges in the workplace, while civil society is beset by unique ethical challenges, from fake news to cyber-bullying. Perhaps passing on the best that has been thought from the past is a clichéd slogan rather than enriching and relevant? What might this new curriculum contain? 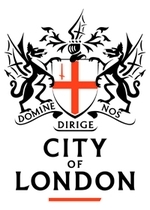 The City of London Corporation worries that a paucity of digital skills training in schools is resulting in ‘too few skilled individuals being prepared to enter the workforce and contribute to the digital economy’, arguably restricting economic growth and harming competitiveness, but also holding back individuals’ life chances. As we enter the new information economy, some argue that the explicit teaching of critical thinking skills and creativity will be more important to the new industrial revolution than the anachronistic cultural baggage of the last one. In a school with 38 first languages among its pupils, can the last words on literature any longer be considered those of long-dead white men preoccupied by English empire, church and class? Would we do better to teach living Mandarin than dead Latin? Is it not the teacher’s duty to unleash the imagination of the young, rather than stunt it with the outmoded facts of a world gone into history? However, some worry the rush to modernise the curriculum may be a fool’s errand. Is it even possible to prepare pupils for technologies and jobs that don’t yet exist? In world where all is flux, is there not an argument for relying more heavily, not less, on the structures of past knowledge? The acceleration of progress might be said to prove how universal Shakespeare is, not how archaic or culturally specific; the basic principles of physics and mathematics are still valuable foundations for anything from coding to digital awareness. Can our society still make a convincing case that two millennia of knowledge do not need updating? Or does this rob young people of the necessary modern knowledge and skill that will aid employability, indeed enhance their social mobility? But what about the cultural capital embodied in canonical knowledge? If – as is argued – education is not just about knowledge, is it wrong to focus purely on the jobs market, too? Is there a false dichotomy between knowledge and skills, a hackneyed row between progressive and traditionalist teacher factions? Is it possible to integrate both, to ensure new skills are taught across the old subject disciplines? How might we answer today the questions posed by TS Eliot: where is the wisdom we have lost in knowledge, and where is the knowledge we have lost in information?